The Gilded Age came alive on September 8th featuring the Tub Parade in Lenox, MA. Colonial Carriage and Driving Society reinvented this beautiful parade over 27 years ago and is a state-recognized Gilded Age event. 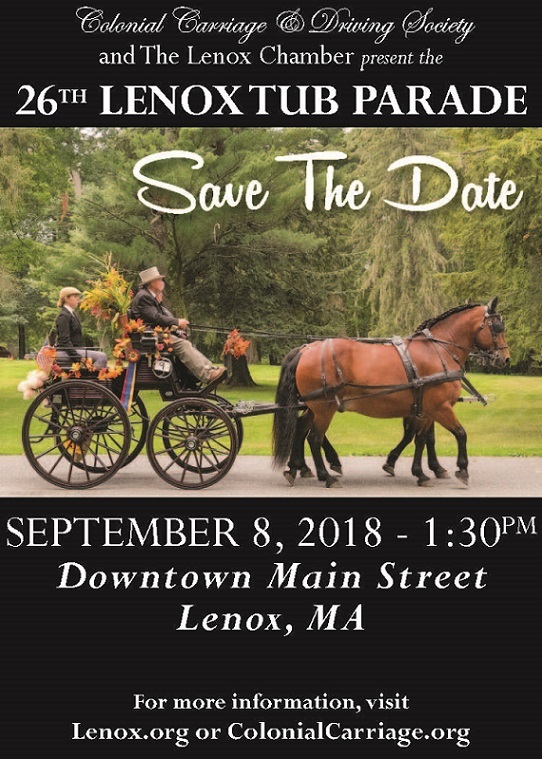 It’s a carefully crafted tribute to a bygone era of the horse and carriage that draws residents and visitors to the Lenox downtown. The caravan of decorated horse drawn carriages traces its origins to the mid 1880s. The Lenox floral parade, as it was called back then, was a quintessential high-society event showcasing women and children in their finery at the close of the high season. The Tubs (an Irish expression of a horse drawn cart) were decorated with flowers and autumnal decorations from local gardens as participants competed for recognition. Today there is only one other horse drawn parade still in existence called the battle of the flowers in California–still going for over 109 years.